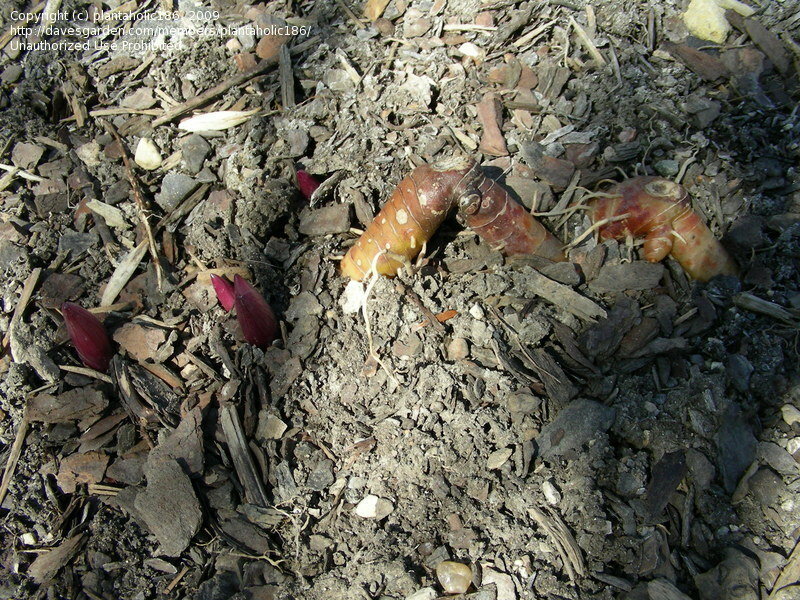 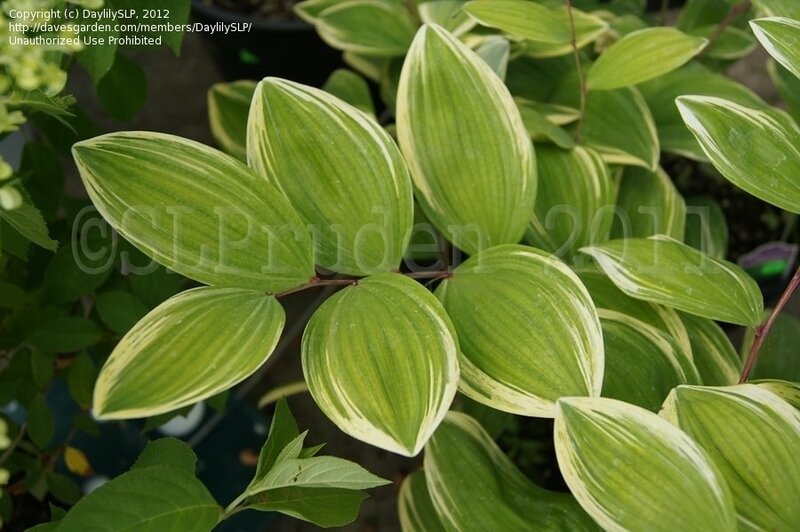 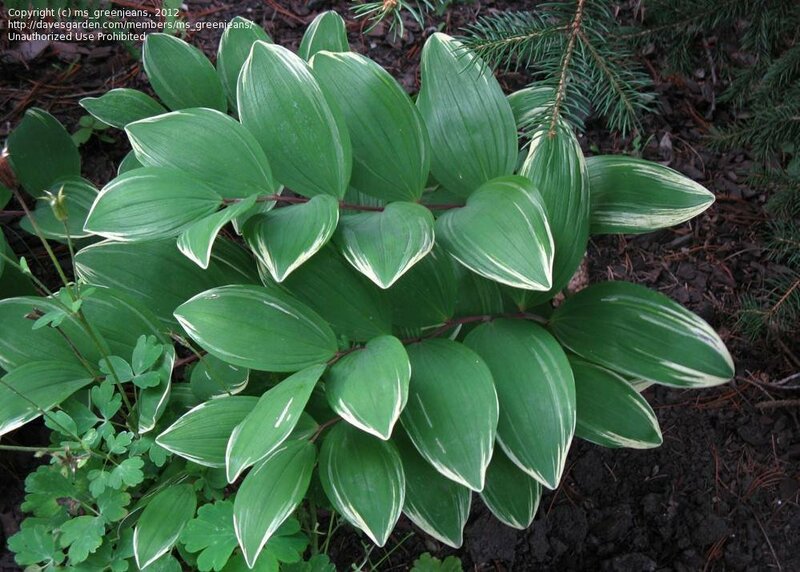 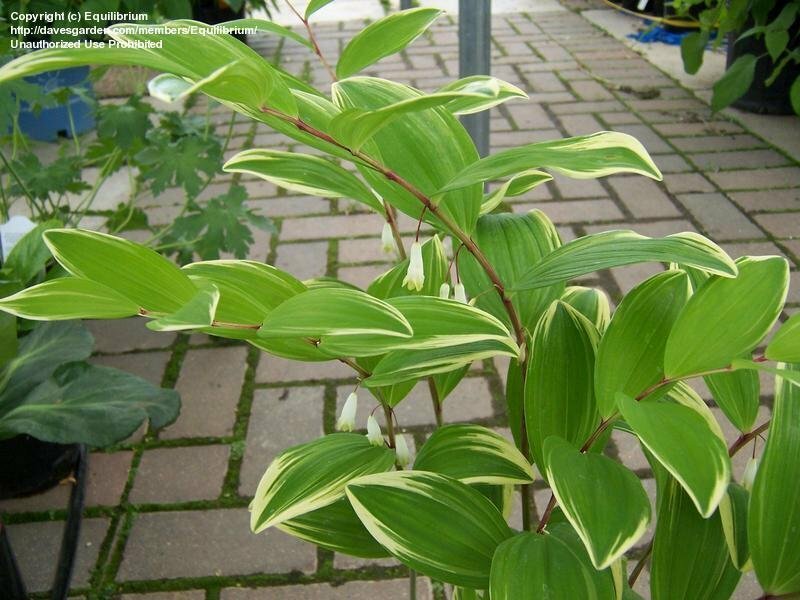 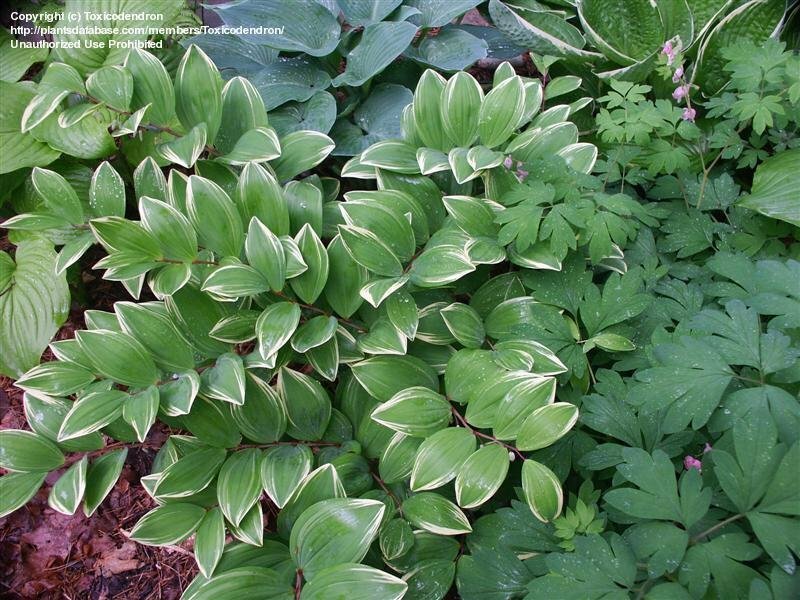 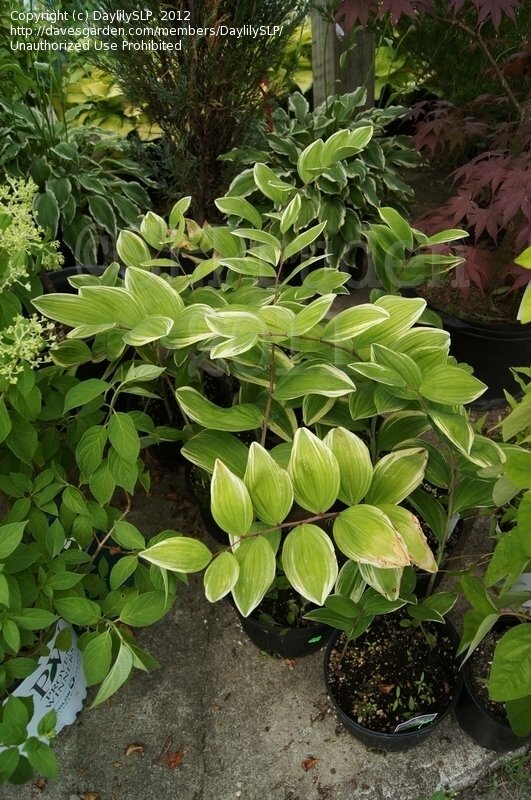 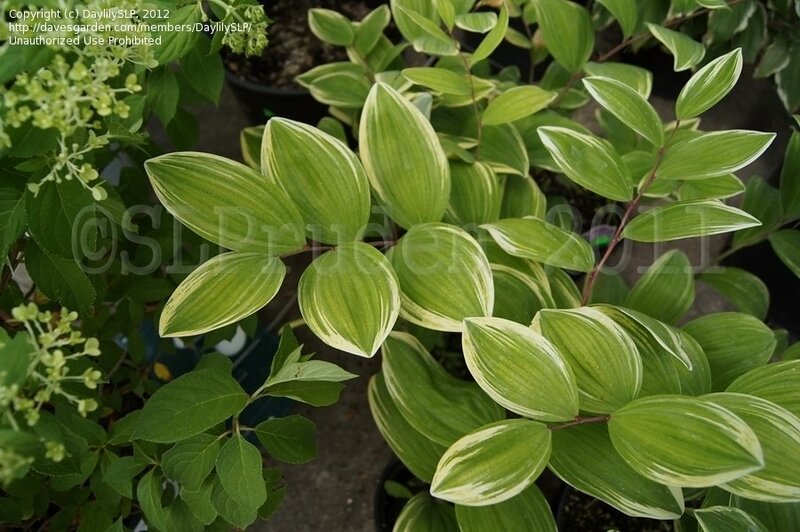 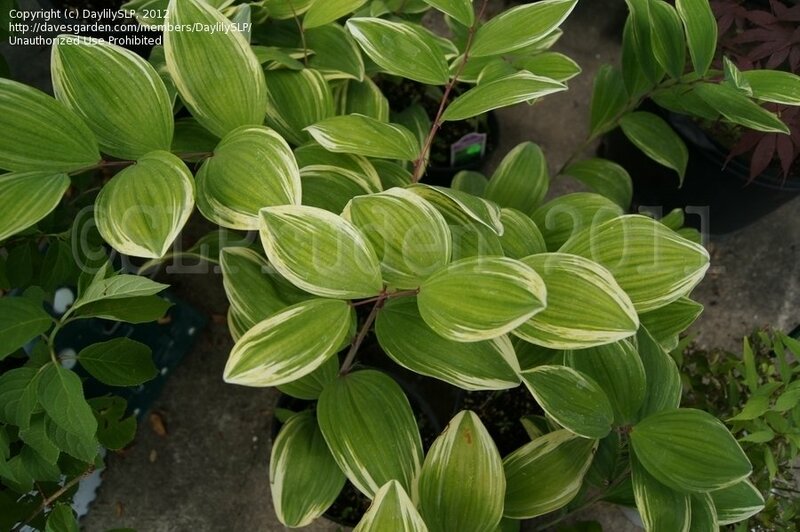 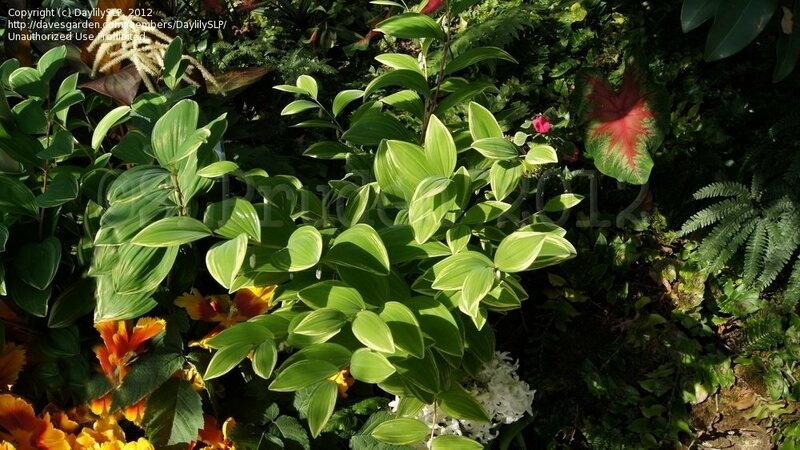 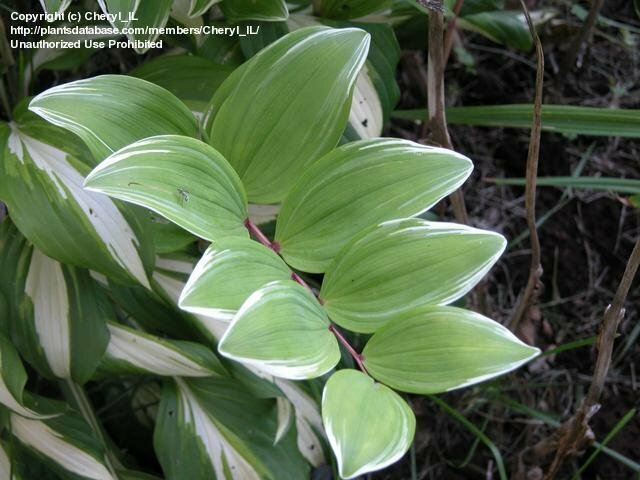 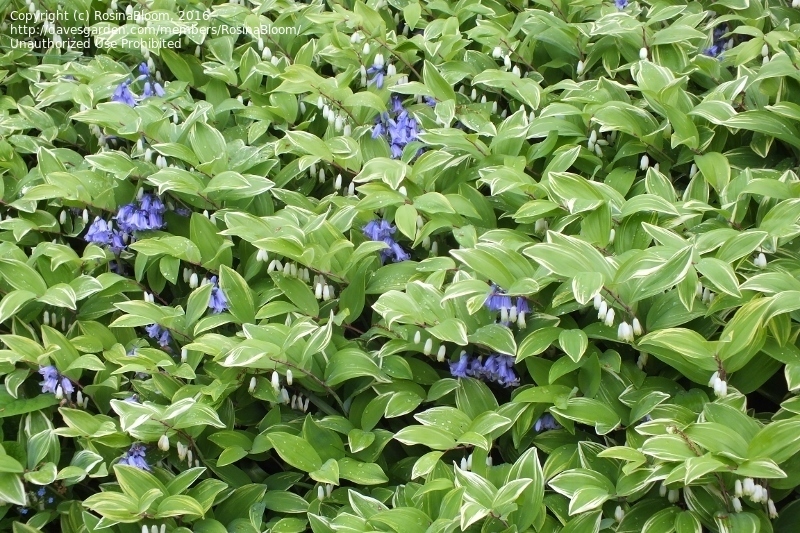 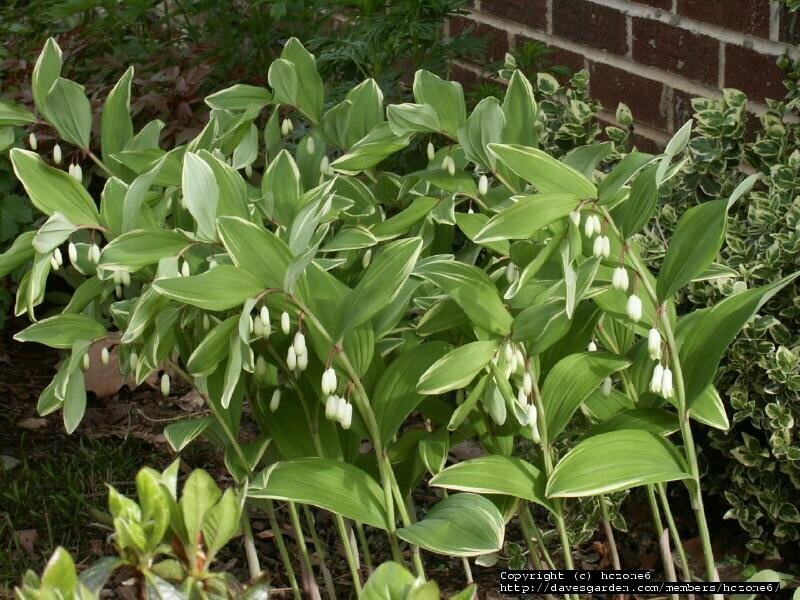 A better name might have been 'Albomarginata', since the white is on the margins of the leaves, not throughout. 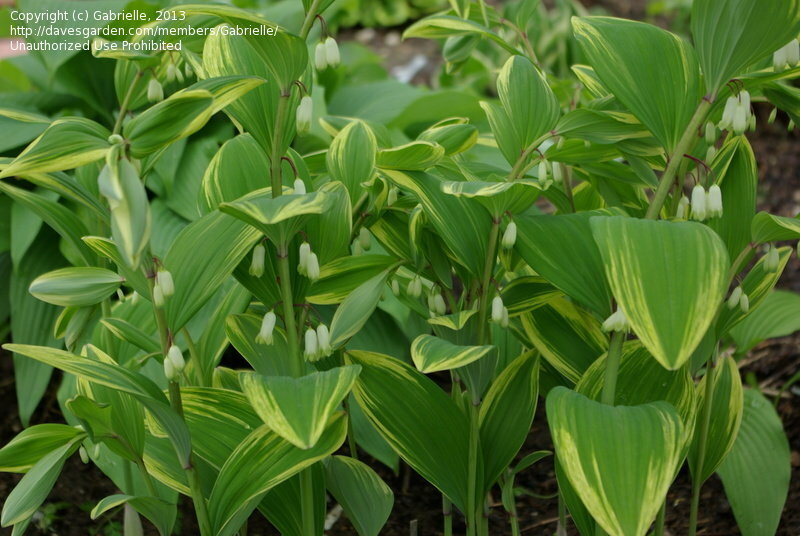 I saw a similar plant listed as P. odoratum, but my label says this is P. falcatum. 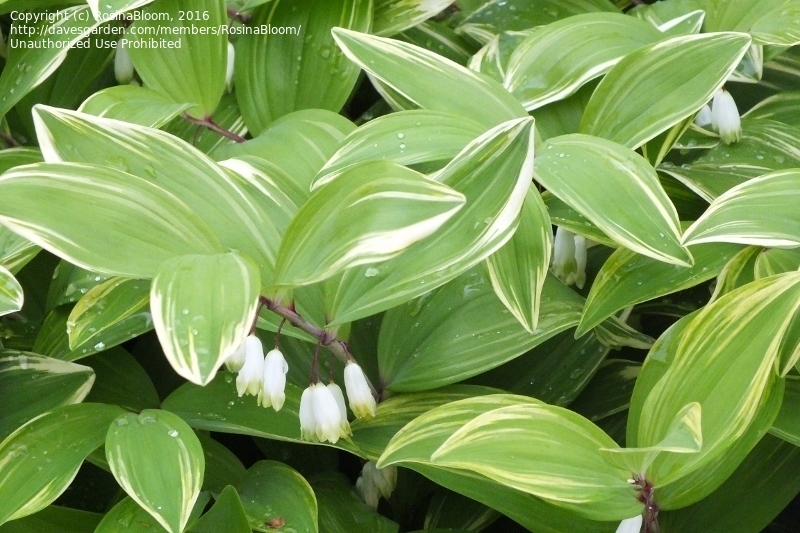 It is only about 14 to 16 inches tall, so I think falcatum is correct. 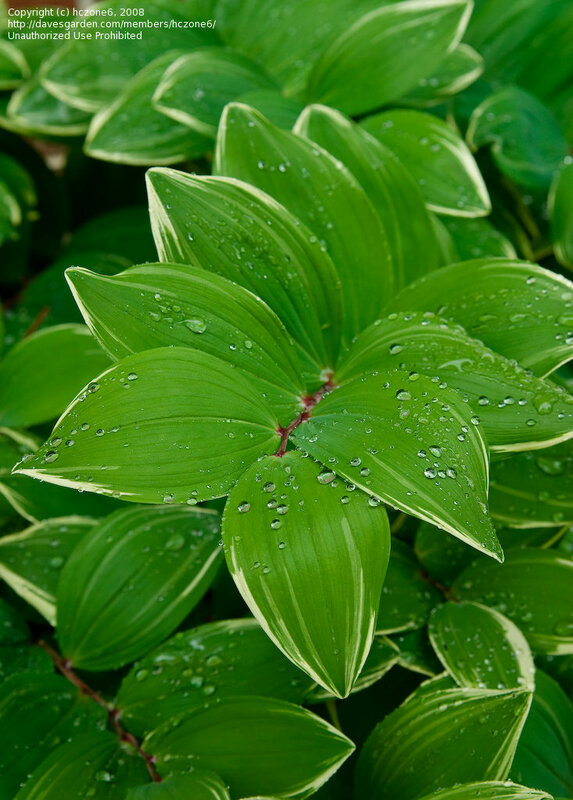 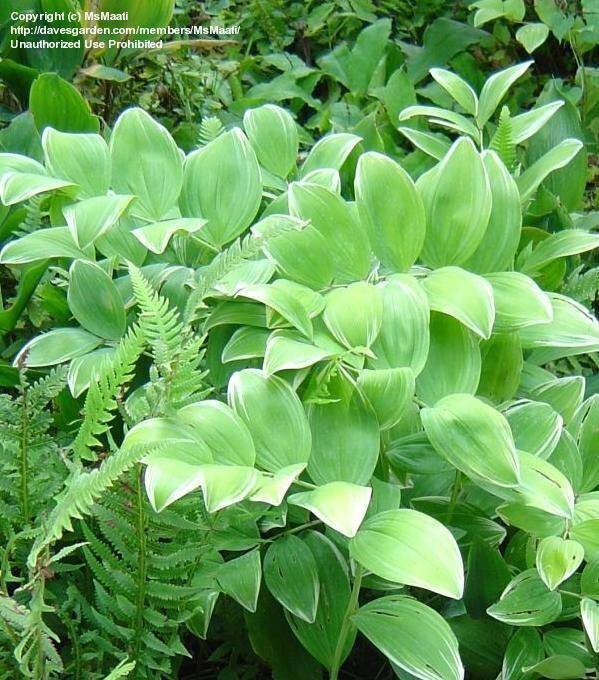 A great plant. 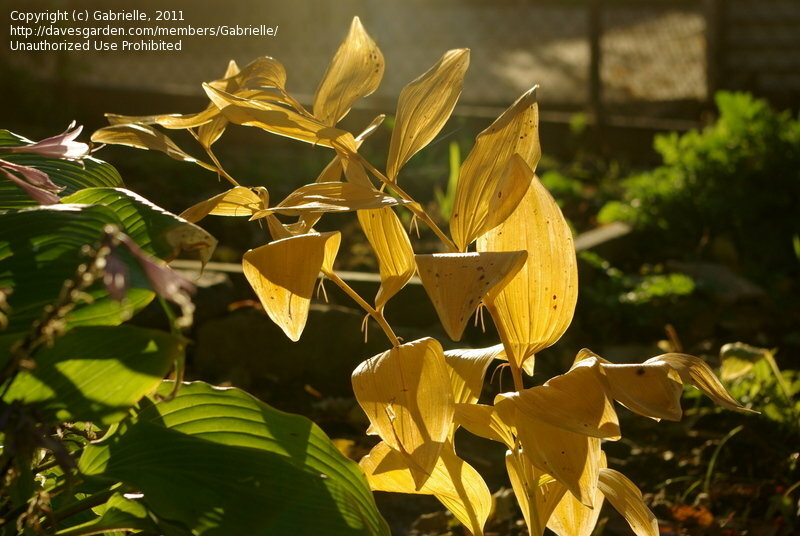 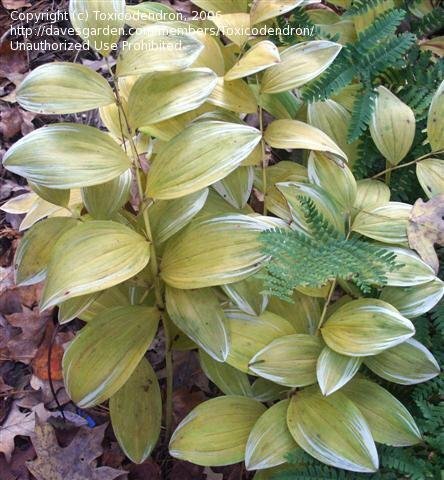 Fall color is golden yellow, with the white variegations still visible. 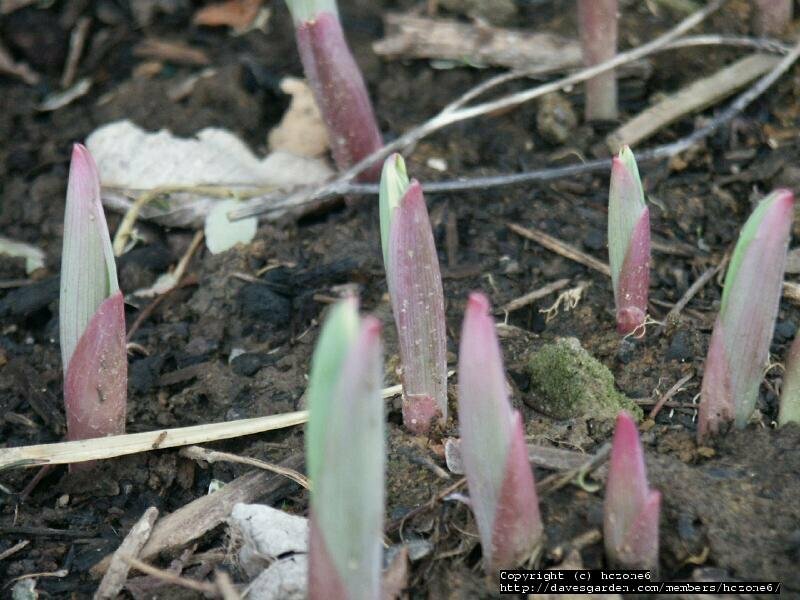 Note the reddish stem - had a bit of hail damage to it. 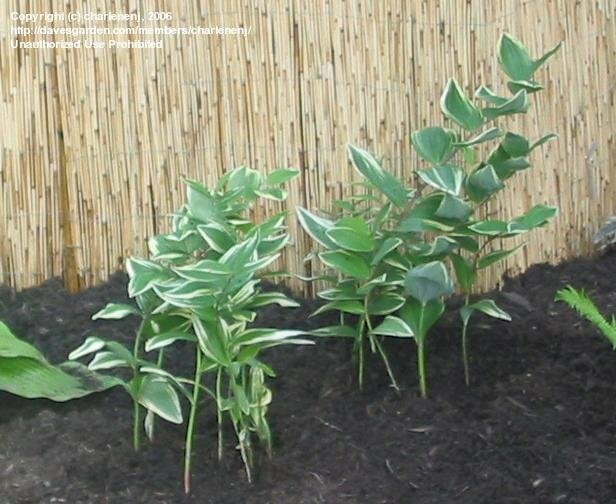 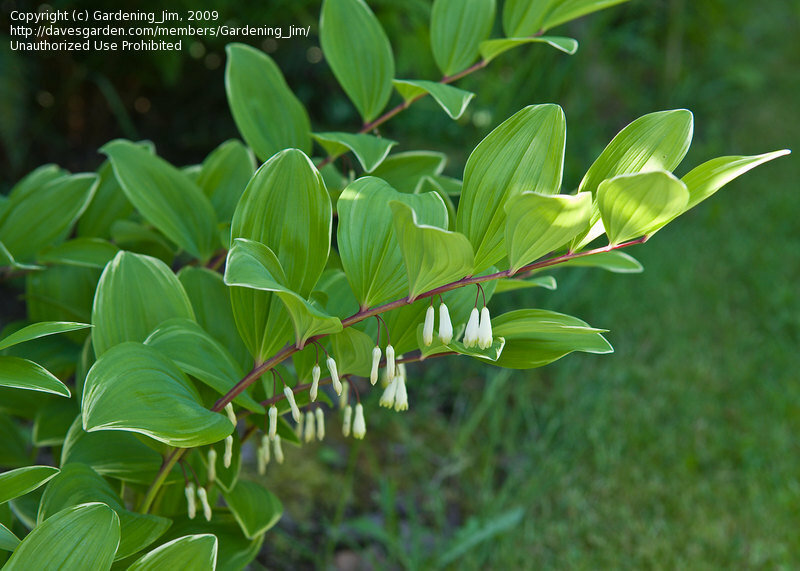 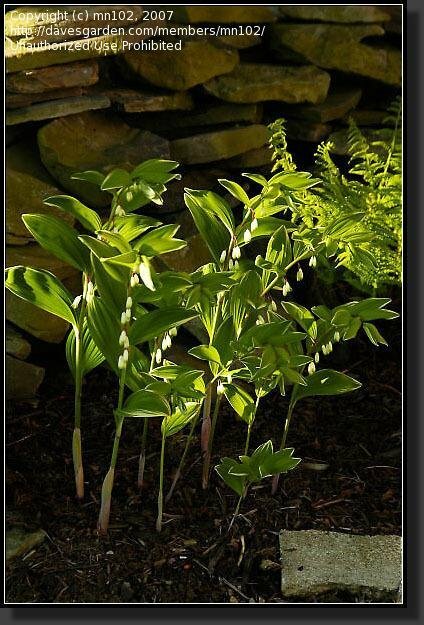 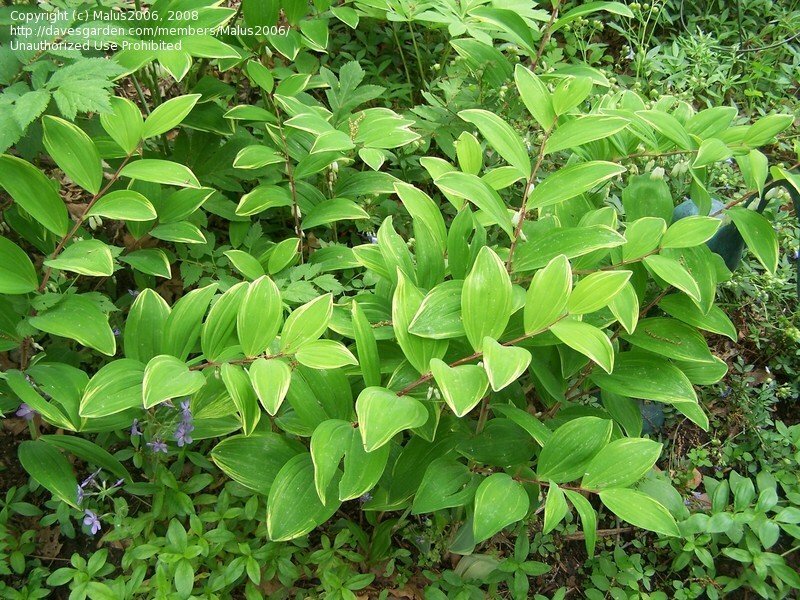 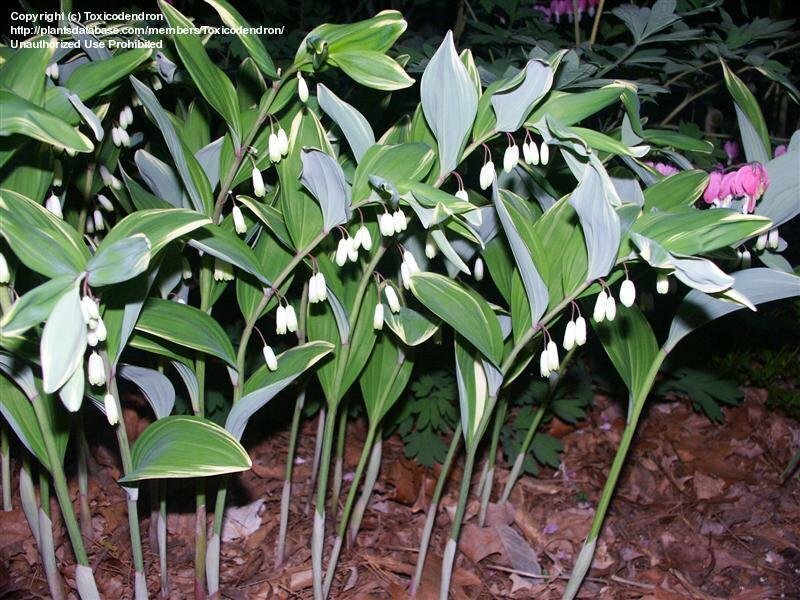 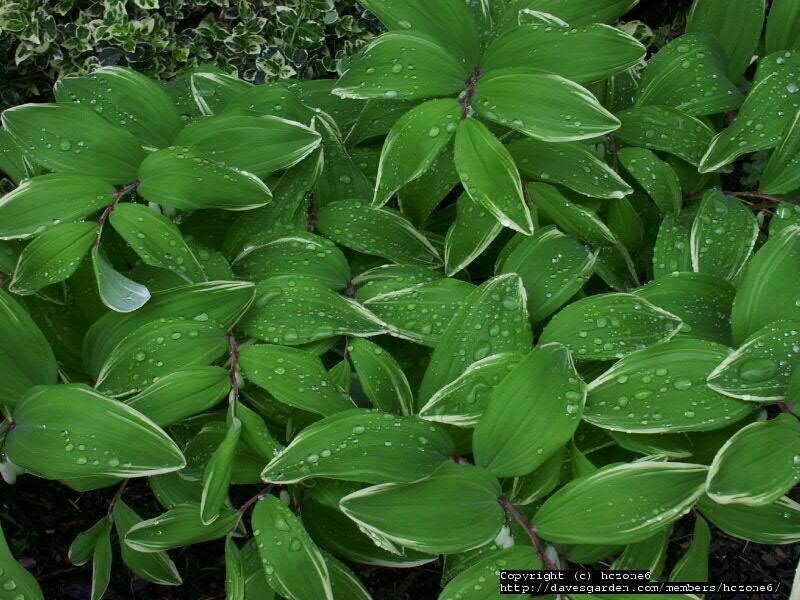 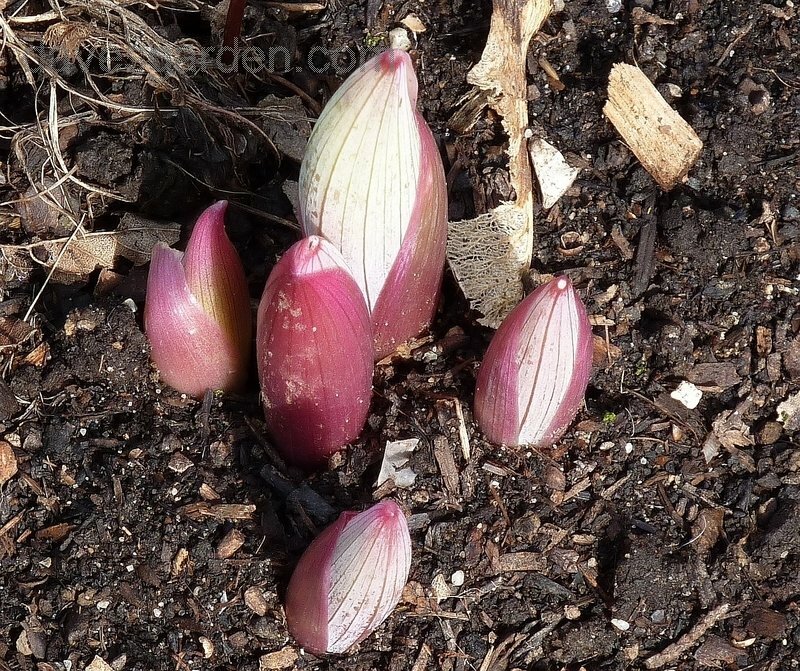 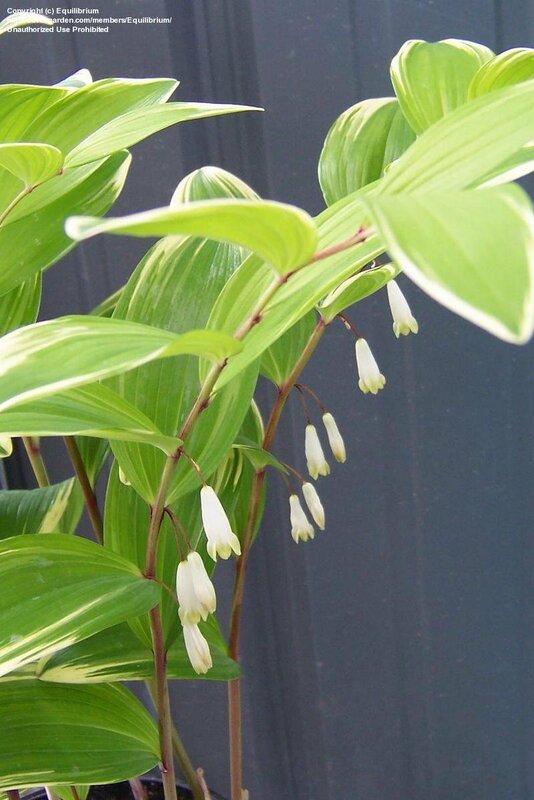 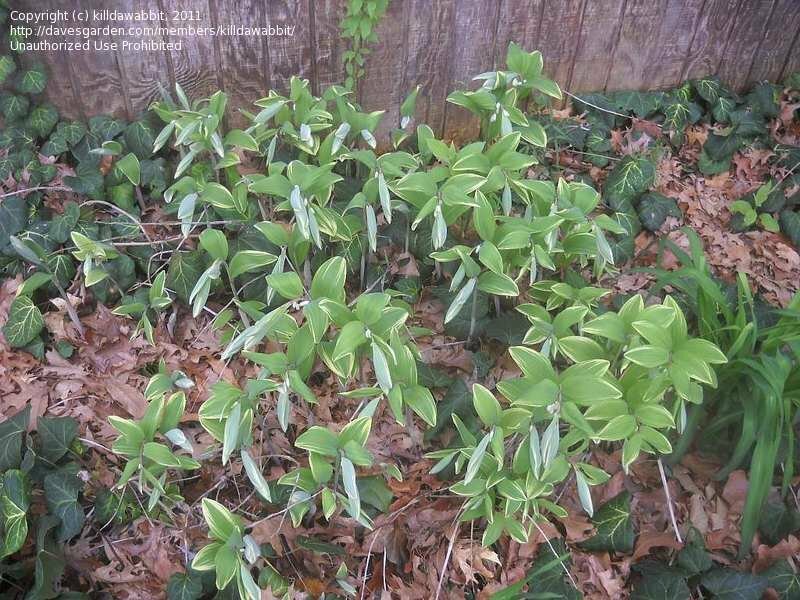 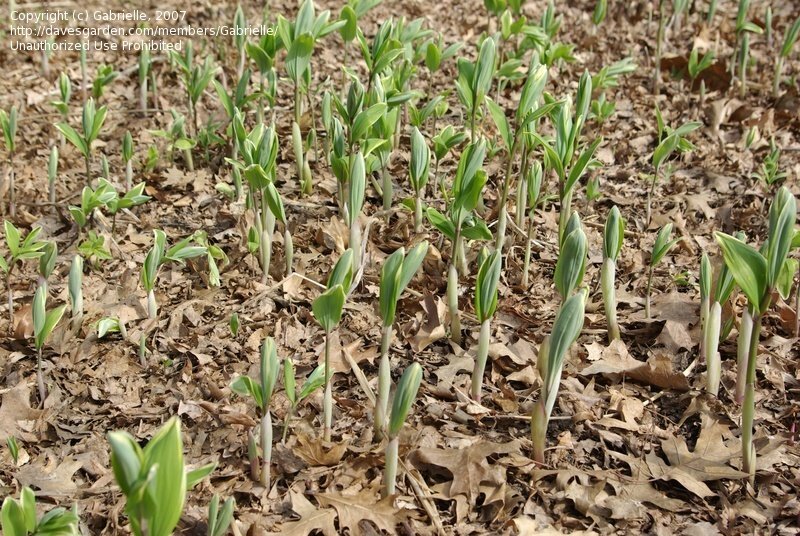 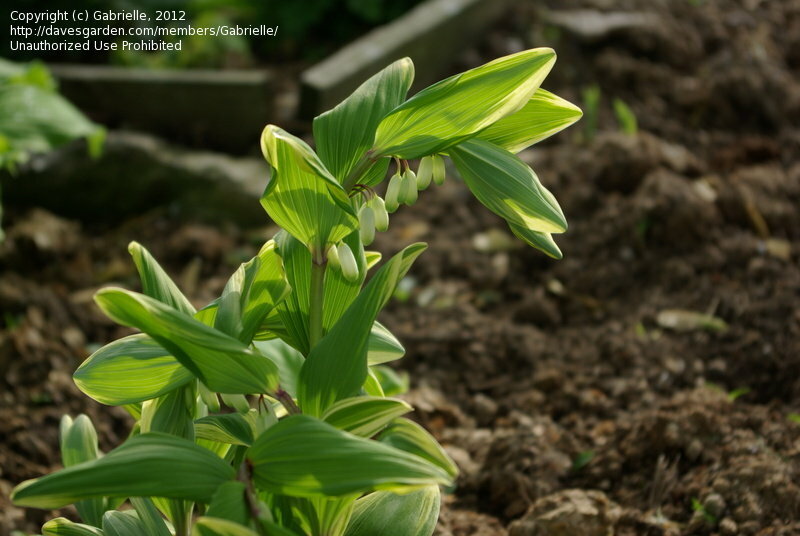 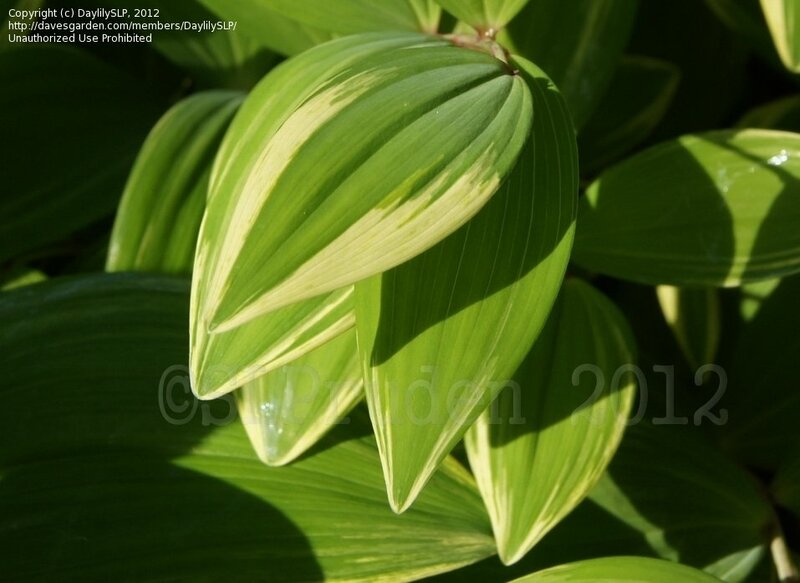 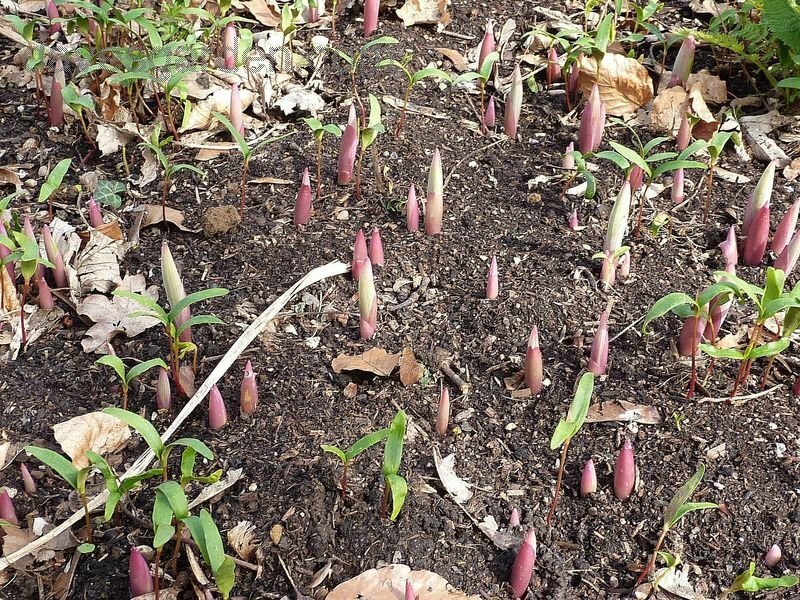 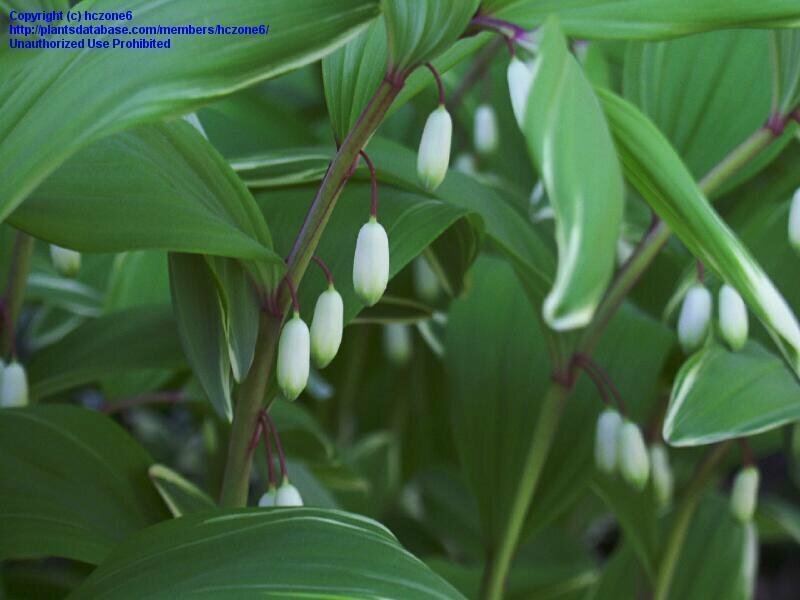 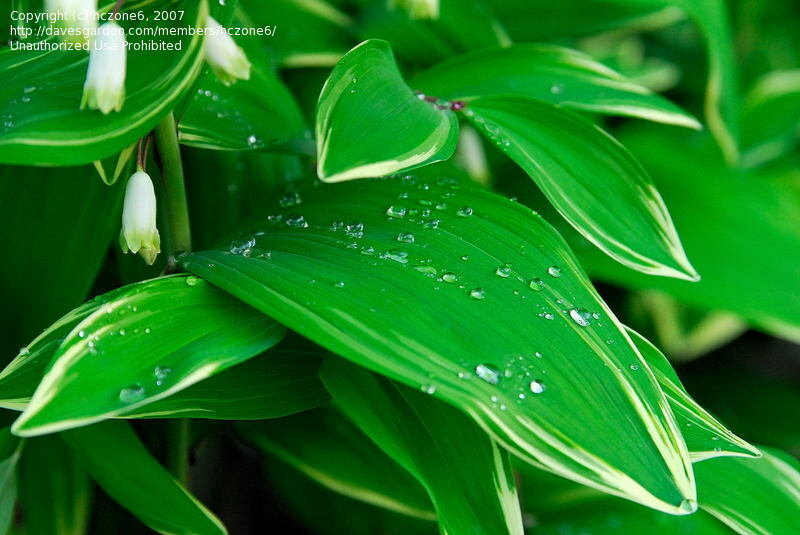 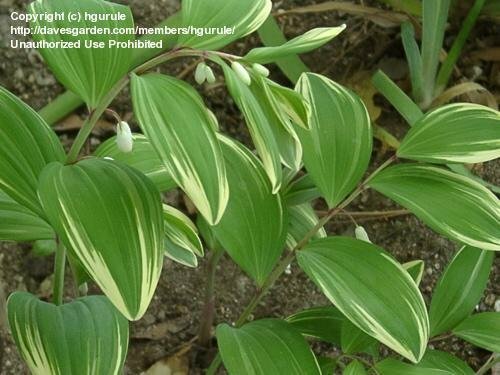 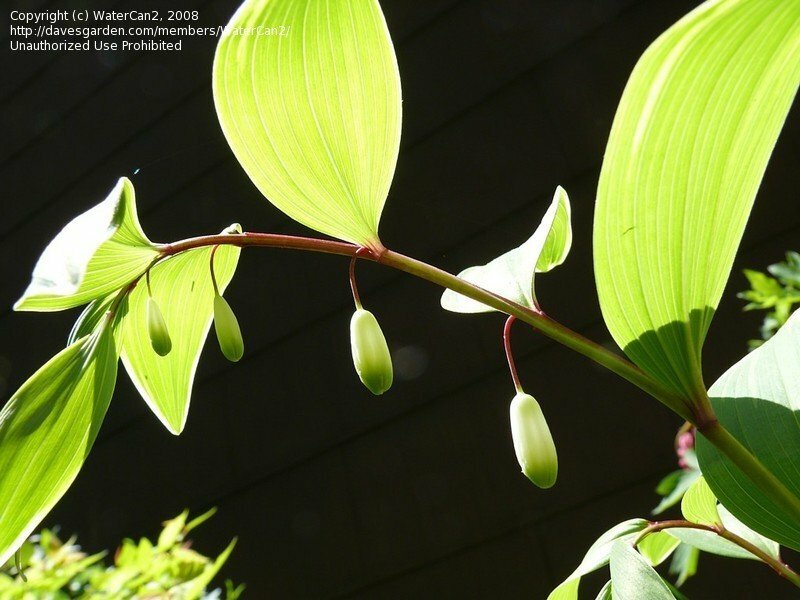 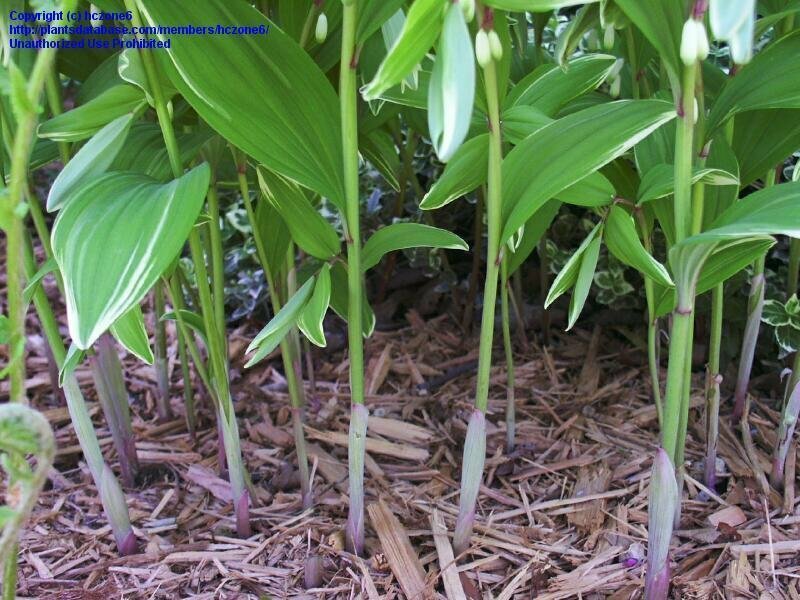 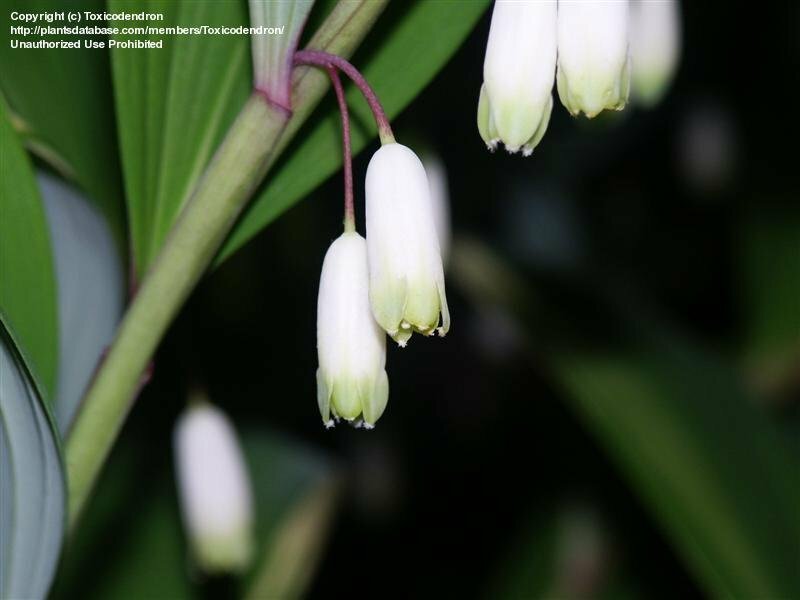 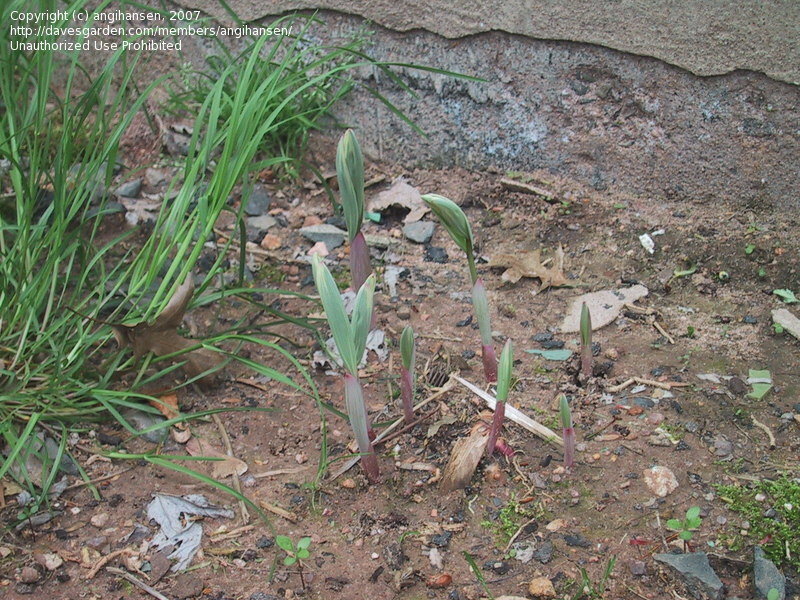 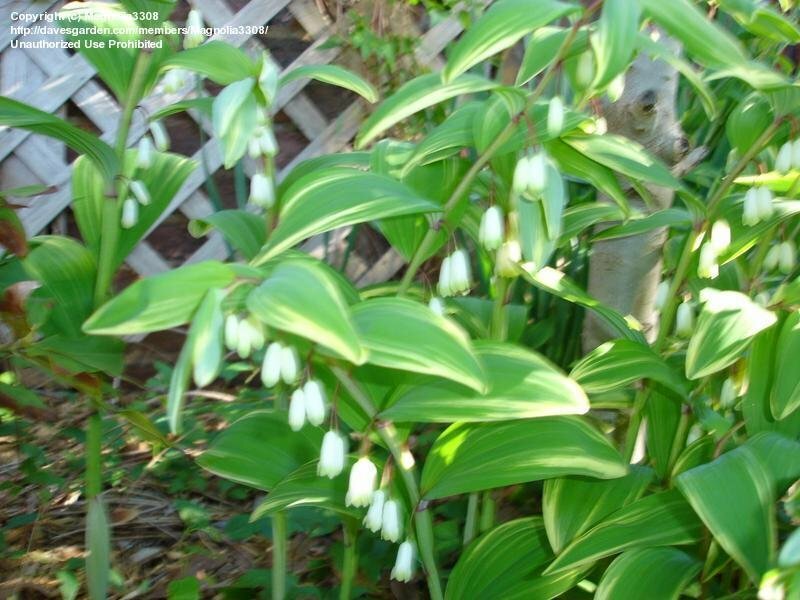 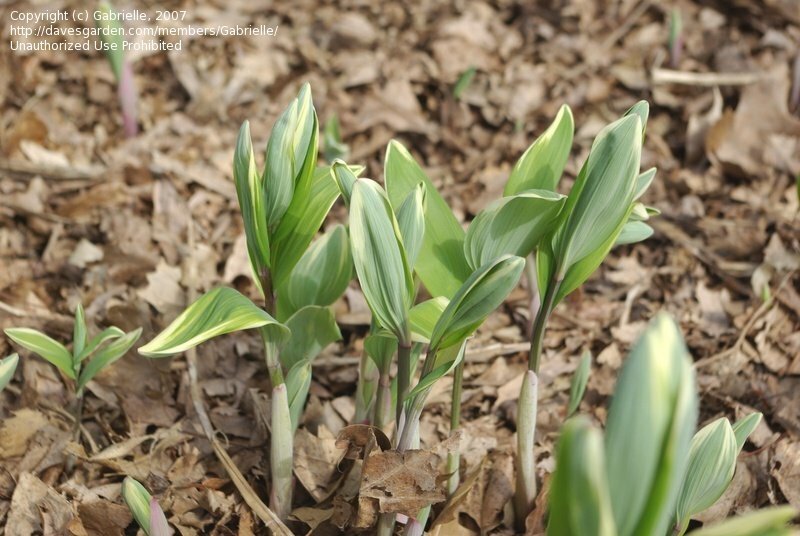 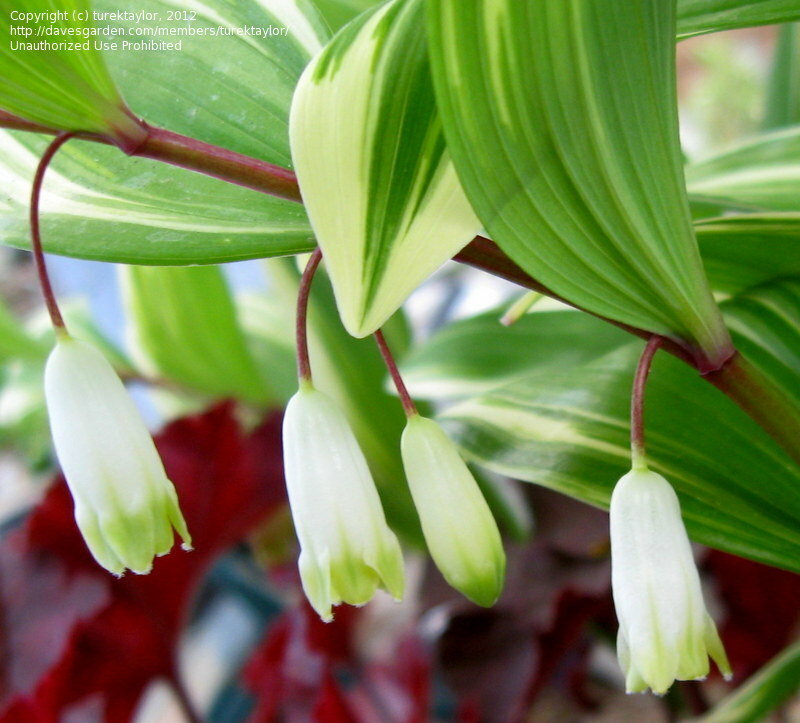 End of March..Polygonatum odoratum var. 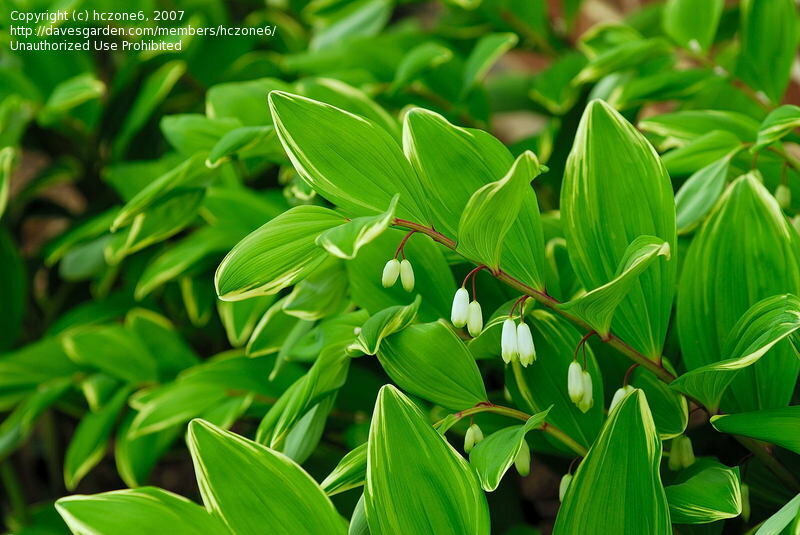 thunbergii ..